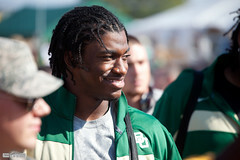 Who are the dark horses in the RG3 sweepstakes? Could C.J. 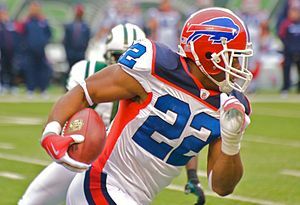 Spiller’s emergence lead Bills to deal Fred Jackson? For National Football Authority, we break down one of the league’s most intriguing running back storylines this offseason. After one of his best seasons, Bills RB Fred Jackson could be on the trading block, because of both his salary demands and because of the emergence of RB C.J. Spiller. Click here to see the reasons and what we think should happen. The Oakland Raiders made by far the biggest splash at the NFL trade deadline, dealing for Bengals QB Carson Palmer. Palmer had not reported to Cincinnati this season, and the Bengals had threatened to leave Palmer hanging in the wind until Oakland gave them an offer they couldn’t refuse. Below are some thoughts on the trade; you can see how it compares to other deadline deals in this post. Bengals trade QB Carson Palmer to Raiders for first-round pick in 2012 and second-round pick in 2013 that can become first-rounder – Palmer had not played in 2011 after he told the Bengals he wanted to be traded. Notoriously stubborn Bengals owner/GM Mike Brown called Palmer’s bluff, letting him sit out without much hope of a silver (or even silver and black) lining. In the meantime, Cincinnati drafted QB Andy Dalton and made him their starter. Dalton got off to a good start as the Bengals opened 4-2, and that might have softened Brown a little. Then the Raiders – who lost QB Jason Campbell to a broken collarbone that’s at least a six-week injury – made a move for Palmer and paid a huge price to add him. 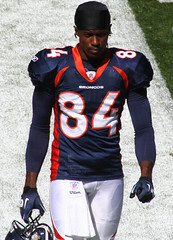 The Bengals, who had once turned down two first-rounders for WR Chad Ochocinco, this time made the deal. They get Oakland’s first-rounder next season and a second-rounder in 2013 that can become a first-rounder if the Raiders make the AFC Championship game in either of the next two years. The Raiders, who now lack picks in each of the first four rounds of the 2012 draft, believe Palmer still has the big arm to maximize their young, talented group of wideouts. Head coach Hue Jackson, who coached Palmer during some of his best Bengals years, runs an offense that Palmer knows, which should aid the adjustment period. And Palmer has been working out as well. It’s a risky move for the Raiders, but Palmer does give them more upside than Campbell ever did. The question is whether Palmer can adjust to the silver and black quickly enough to lead the 4-2 Raiders to the playoffs. The price is incredibly steep, but the Raiders are so desperate to win that “just win, baby” is trumping long-term thinking right now. With Broncos WR Brandon Lloyd on the trading block, we discuss how the Carolina Panthers have some interest and why they should stay away from trading for Lloyd. Click here to read all about it.